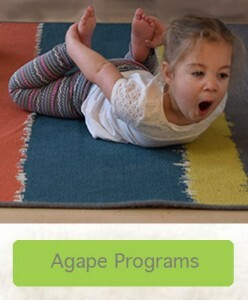 We are Agape Academy a premier learning and child care center for children from 6 weeks-12 years (Extended Care). Our education environment focuses on allowing our children to imagine daily. We provide children with a school readiness curriculum, natural environment exploration and enrichment classes such as yoga, cooking, gardening and expressive art. This environment supports each child’s need to excel in their individual learning journey from birth to school age. So, let’s begin our journey! Now Enrolling for Infant, Preschool, and Jr-kindergarten ages and currently accepting security deposits for Toddlers and School Age. 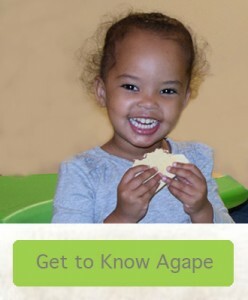 Learn more about Agape and the programs we offer. We would be happy to answer any questions you may have or schedule a tour of our learning center! 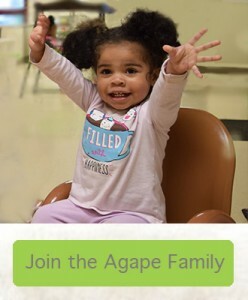 Join the Agape Staff where providing exceptional child care, affordable prices, enrichment classes, and exceptional service is how we demonstrate love to our families. We look forward to hearing from you.